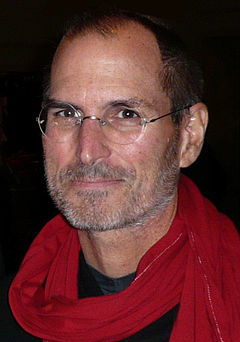 The media has reported the death of Steve Jobs, who was the former CEO of Apple company. We can treat Apple and Steve differently, but we cannot deny that he is an eminent figure in the IT-industry, who created a lot of trends. Rest in peace, Steve. “Apple has lost its fabulous and inventive genius and the world lost a remarkable man. Those of us who were lucky to know and work closely with Steve have lost a dear friend and inspired teacher. Steve left behind his company, which could be created only by him, therefore, his spirit will live forever in the heart of the company". The Apple’s stores turned off the illumination of all logotypes of Apple all over the world. Those who want to share their compassions can e-mail their thoughts and condolences to the postal address: [email protected]. Perhaps, some of condolences will be passed to Steve’s family and relatives. He re is a good video from CNET, which visually summarized the career of Steve.